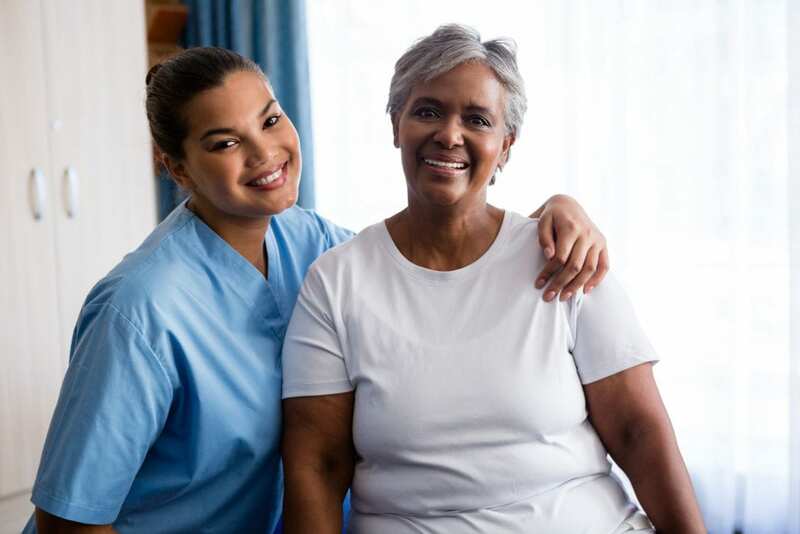 Under the supervision of a licensed practical nurse or registered nurse, a Certified Nurse Assistant will meet the physical and emotional needs of patients or residents of a long-term care facility. The responsibilities and extent of the CNA’s role will depend on the type of medical facility. CNAs work in hospitals, medical offices, nursing homes, adult day care centers, and assisted nursing facilities. They function as critical liaisons between the licensed nurse and the patient. Since they spend more time with the patient than any other health care professional, they can serve as the nurses’ eyes and ears and transmit critical information about the patient health and well-being. Anyone interested in a career as a CNA must be compassionate, honest, reliable, and flexible. Excellent communication and organizational skills are essential to success in this career. Since the workload can be heavy and intense, a CNA must be in good physical health and mentally stable. Candidates for CNA Certification in Georgia must complete at least 85 hours of knowledge-based and clinical training in preparation for the State Written and Skills Exam to be added to the Nurse Aide Registry. The nursing assistant program at One Breath CNA prepares students for state certification. It is offered on a day or evening schedule. Day classes meet 2 days per week. Night classes are 4 days per week. In addition to the classroom sessions, students must also meet three days, at a partner facility, for the clinical externship. Course topics include but are not limited to anatomy and physiology, the role and responsibility of a nurse aide, range of motion exercises, nutrition and feeding, fluid intake and output, basic nursing skills, infection control, vital signs, personal care and grooming, and rehabilitative and restorative techniques. CPR and First are also covered during normal class hours. The program covers a total of 104 hours in the classroom, lab, and clinical site. The duration of the program is 5 weeks. Students must pass the four classroom tests and the final exam. Those who successfully complete the program will be eligible to take the National Nurse Aide Assessment Program Exam to work as a Certified Nurse Assistant in Georgia. The program is open for admission every six weeks. A high school diploma is not required to enroll in the program. Tuition, registration, books, and supplies cost approximately $800. Students may make weekly payments of $150. Athens Technical College prepares nursing assistant students for an exciting career in health. Graduates of the State approved will be qualified to take the State Exam to become a Certified Nursing Assistant. The program combines classroom instruction with practical hands-on experiences in the classroom and clinical facility to give students the knowledge and skills needed to provide safety and competent care in a long-term facility. The program runs for 12 weeks: students spend 9 weeks in the classroom and 3 weeks at a clinical facility. During the 12 weeks, instructors will cover a total of 135 hours: 90 hours in the classroom and 45 hours at the clinical facility. The class times vary with each cycle but typically meet from 8:00 am to 4:30 pm two days per week. The program limits admission to six students with each cycle. Two forms of identification – including a valid social security card. Upon admittance, instructions will be provided for completing a TB test, hepatitis B immunization or waiver, background check, and drug screen. Students must attend 100 percent of the program and complete Mock Skills Week in preparation for the State Competency Exam to receive a certificate of completion. Tuition for the program is $2,600 and includes the program fee, scrubs, textbooks, background check, drug screen, supplies, and state exam. Students must cover the cost of the TB test and other medical expenses. Financial assistance is available through WIOA. Job placement assistance is available for all graduates. Innovative Healthcare Institutes prepares students for a career in health in just four weeks. New classes start every month. Day, evening and weekend schedules are available. Course topics include patient rights, infection control, anatomy and physiology, vital signs, laws and ethics, safety and emergency, patient transfers, and Alzheimer’s care. Interested persons should attend an information session. 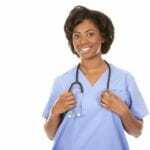 Graduates are eligible to sit the State Exam to become a Certified Nursing Assistant. Job placement assistance is available for graduates. Lanier Technical College hosts a Nurse Aide Technical Certificate of Credit that prepares adults with the knowledge and skills to care for patients in a variety of health care settings. The curriculum covers classroom training, lab practice, and a supervised clinical experience in an approved nursing facility. Graduates are eligible to sit the National Nurse Aide Assessment program (NNAAP) to be added to the State nurse aide registry. The program covers 13 credit hours. Course modules include Introduction to Healthcare, Diet and Nutrition for ALHS, Medical Terminal, and Nurse Aide Fundamentals. The program opens for admission each semester. Complete ASSET Testing or provide SAT, CPE, ACT, or COMPASS test score. The program may be eligible for institution and State aid. The Medical Institute of Northeast Georgia hosts a Nursing Assistant Certificate program that is approved by the State of Georgia. The program includes two weeks of classroom lectures and one week of clinical experiences at a nursing home. Classes meet 8:00 am to 5:00 pm from Monday through Thursday. A night schedule is also available. Class times are 5:30 pm to 10:30 pm. The curriculum covers patients’ hygiene, the activities of daily living, adjunct care, vital signs, patient comfort including answering call lights and transport, observation and reporting, patient confidence, state and federal laws governing practice, and rehabilitative and restorative techniques. Graduates are eligible to take the state exam to become a Certified Nursing Assistant. MING is a licensed testing facility so that students can take the test in a familiar environment. Tuition for the program is $650 and includes books, supplies, and state testing fee. Students must provide their uniform (black scrubs), notebook, pen and paper. The Certified Nursing Assistant Program at North Georgia Nursing Academy is approved by the State of Georgia and gives graduates the eligibility to sit the State Certification Exam. MING is an approved testing site so graduates can sit the exam in a convenient and familiar environment. The program covers a total of 96 hours of lectures and practical experiences in a skills lab and clinical facility. There are two class schedules. The day class meets Monday through Thursday from 8:30 am to 3:30 pm for 4 weeks. The evening class meets Monday through Thursday from 5:00 pm to 9:00 pm for 6 weeks. The cost of the program is $850 and includes books, scrubs, CPR and First Aid, nurse kits, and job placement assistance. Students must pay $112 for the state exam. Woodruff Medical Training and Testing prepares adults for a career as a nursing assistant in just one month. The program is designed for those who enjoy helping others – to give them the skills to find employment in a professionally rewarding career. The curriculum includes hands-on training, classroom lectures, and practical experiences and is taught by experienced professionals. 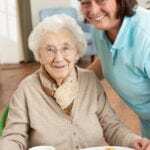 It covers topics such as resident safety, taking vital signs, basic nutrition, bed making, infection control, transferring, patient bill of rights, assisting residents with daily care, human sexuality, ambulation and emergency care, and rehabilitative techniques. Students will have the opportunity to develop basic clinical skills by attending to patients in a medical facility under the direction of a licensed nurse. Graduates will be eligible to take the certification exam, which is conveniently administered on Woodruff’s campus. The program is offered on a day and evening schedule. The day program can be completed in four weeks. The duration of the evening program is 6 weeks. Possess good moral character, professionalism, integrity and honesty. Institutional or state funding may be available for the program. Other state-approved nursing assistant training in Athens, GA.